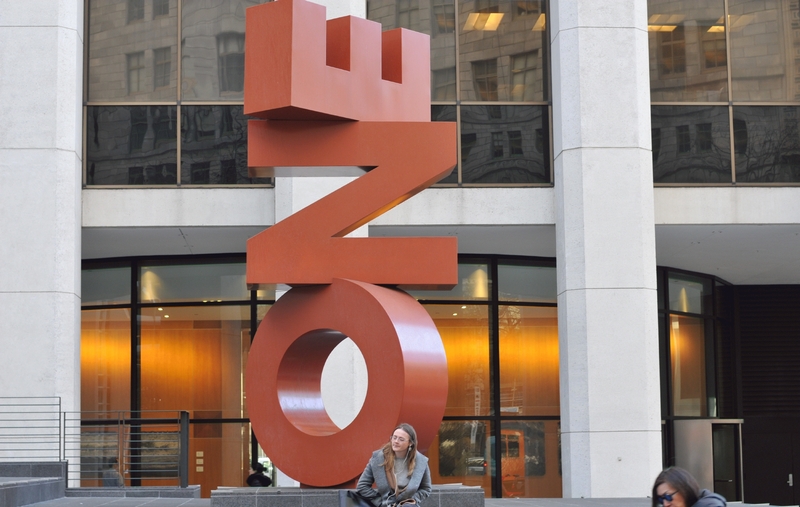 A sculpture in front of One Califorina Street was erected on the Market Street side of the building. 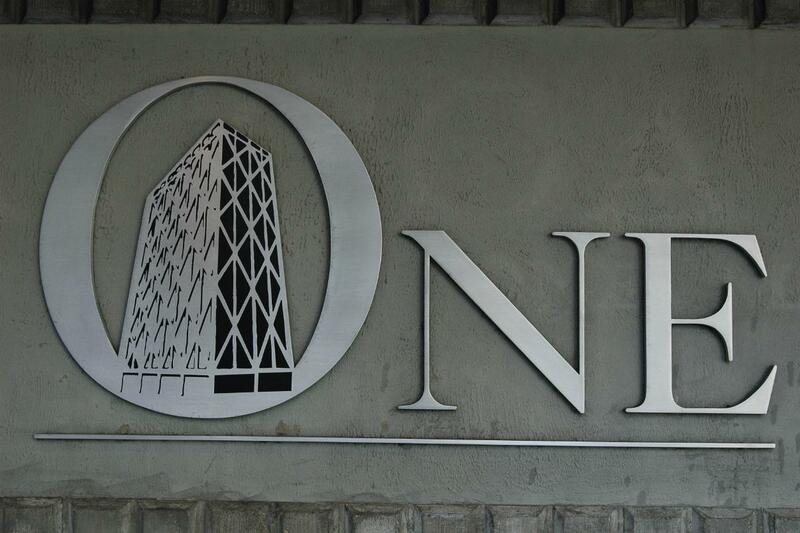 It spelled out the word "One" in sideways, capital letters stack playfully atop one another. 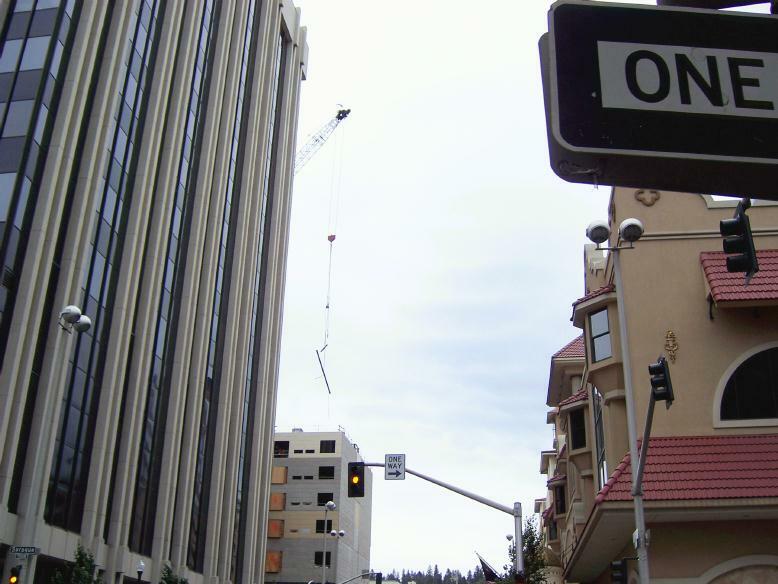 The address above the arched entry for One Embarcadero Center. Two distant ones that shall never meet. 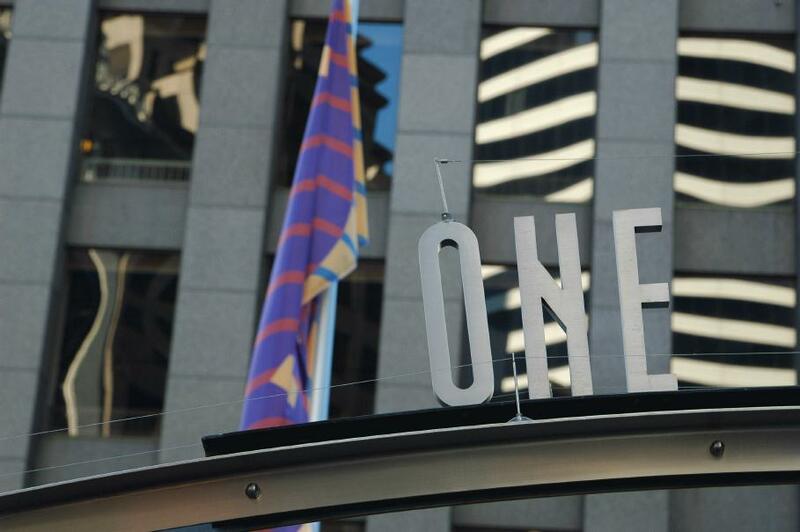 The word "One" was above the entry to BART at 1 Bush Street. It had an anti-pigeon spike atop it. 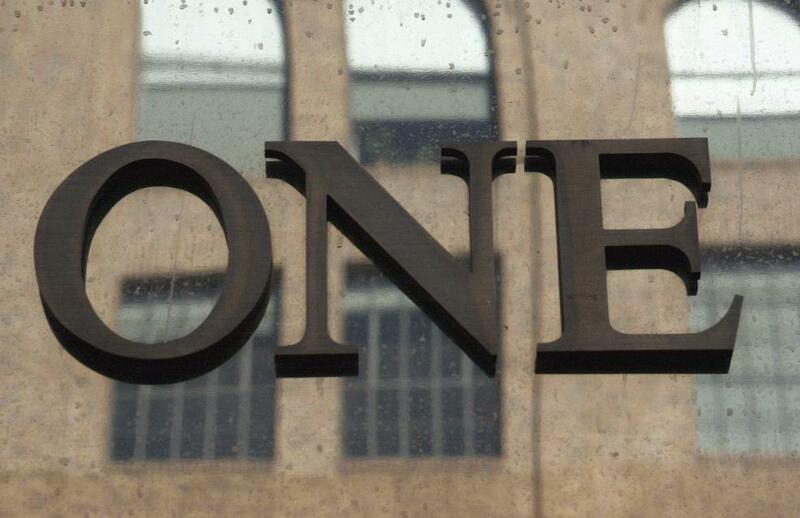 The word "One" spelled out the address for 1 Harrison Street.